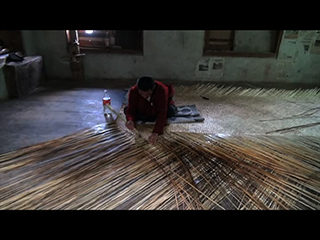 The once-thriving bamboo weaving tradition in Thongrong village under Phongmey Gewog in Trashigang is under threat. Apart from the lack of raw materials, lack of interest among the younger generation to pick up the craft after their forefathers is aiding the disappearance of the tradition. Tsazo or bamboo craft, used to be the primary source of livelihood for almost every household in Thongrong. However, after bamboos plants started dying, people had to resort to other source of livelihood. “There was no bamboo for those who were interested to learn or keep weaving bamboo products and people had to look for other works,” said a farmer from Thongrong, Dorji Khandu. He said it has taken eight to nine years for bamboo plants to grow again. Another farmer, Pema Dorji said they are hoping to go back to Tsazo since bamboo plants are just starting to grow now. But, only a handful of people weave bamboo products today. Lekey Wangchuk is one of them, who continues to carry on the legacy of his forefathers. 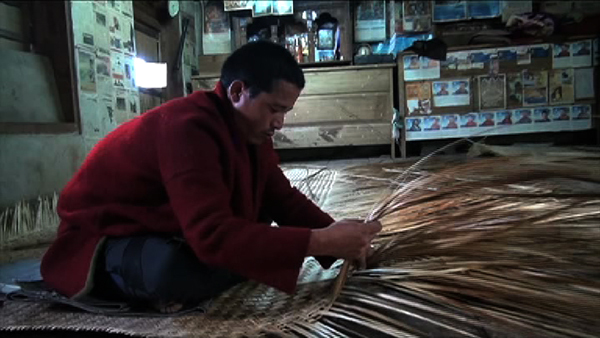 He started weaving bamboo products at the age of 15. Now at 35, Lekey Wangchuk still practices Tsazo with the limited raw materials that are available. “Since we do not own paddy fields, we weave bamboo products for those who have paddy fields as they require bamboo mats to thrash paddy,” said Lekey Wangchuk. He said people in Thongrong still prefer locally-produced mats to modern tarpaulins. “Most of the time, we barter bamboo products with rice.” He also said they sell it for cash which fetches Nu 3,000 a mat. Tsazo used to be the main source of livelihood for his family. But now he practices the ancient trade only as an alternate source of cash income. Apart from lack of raw materials, preference for other better economic opportunities like working at the construction sites, are discouraging people from keeping the tradition alive. The village mostly produce bamboo mats,. The mats are used for drying and thrashing paddy in the neighbouring gewogs like Radhi. With no problem in marketing their products, locals like Lekey Wangchuk are optimistic of reviving the tradition.